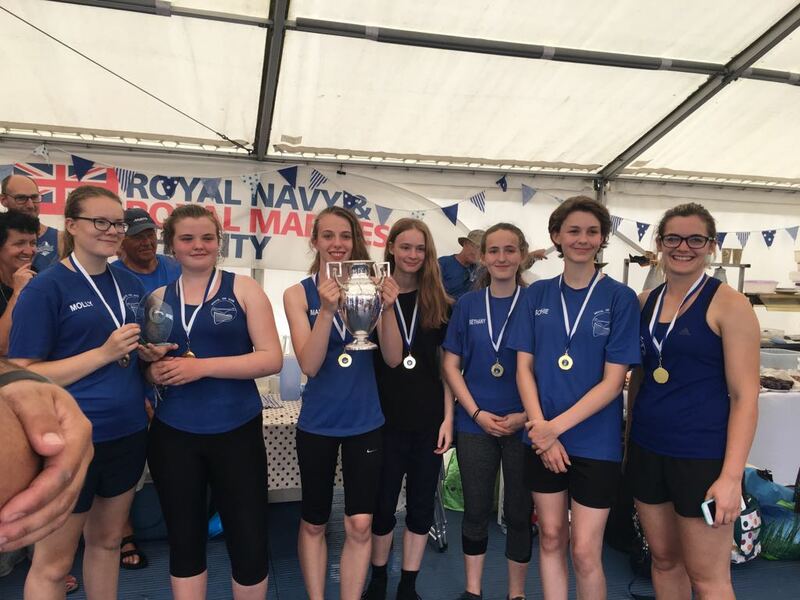 Juniors (Bethany, Joe (U18), Maisie, Miranda, Molly Sophie C-G, Sophie JC) attended Langstone Junior Regatta on 30th June and entered the U16 and U18 races. We weren’t sure of the format for the day, but it turned out to be 3 races for each category, and anyone who’s better at maths than I am will realise that that meant some rowers would have to row 6 races. These were Maisie, Molly, Miranda and Sophie JC. We had a few war wounds as the temperature was 30 degrees on the water and so hands were sweaty and slippy on the oars.